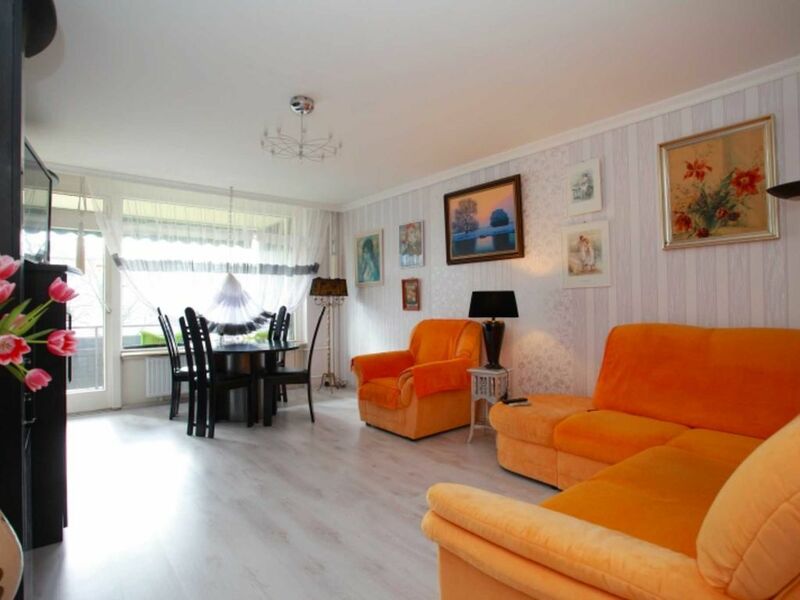 This rustically furnished 63 square meter 2 room apartment is located in the quiet district of Laatzen. There is a good train connection, as it is about 10 minutes in the city center. Two people can stay here. Either in the cozy double bed in the bedroom, or on the sofa bed in the living room. The bright bathroom has a bathtub. There is also W-LAN and a nice big balcony, where you can relax. Please communicate your arrival time promptly. The keys are handed over on the day of arrival directly in the booked apartment / house by the landlord. Arriving at the airport: Arriving from the airport to the objectThe S-Bahn S 5 (direction: Paderborn) takes you directly to the main station. The journey takes about 23 minutes. Arriving at the central station, you can then take the underground line 1 (direction: Laatzen / Sarstedt) to the object stop & # 132; Laatzen & # 147 ;. The journey takes about 32 minutes. Arrival at the central station: Directions from the main station to the object From the main station, you can then take the subway line 1 (direction: Laatzen / Sarstedt) to the object stop "Laatzen". The journey takes about 32 minutes. Connection from the object to the fairgrounds: From the subway station & # 132; Laatzen & # 147; Take the line 1 (direction: Langenhagen) to the stop "Laatzen / Eichstraße (Bahnhof)" and from there walk to the fair entrance Messe / West. The journey takes about 6 minutes. Connection to the city center: From the underground station & # 132; Laatzen & # 147; You can take the line 1 directly to the city center (metro stop & # 132; Kröpcke & # 147;). By taxi: Check in 3.20 EUR + approx. 2.20 EUR / km (prices are approx non-binding information). You can call a taxi directly at: taxi-driver-card-hannover. to order. Shuttle service (up to a maximum of 4 persons) from the airport to the object: On request we can arrange a shuttle service from the airport to the object and back. Price: up to 3 people & # 150; 45, - EUR per trip. Payment is in cash directly to the driver.